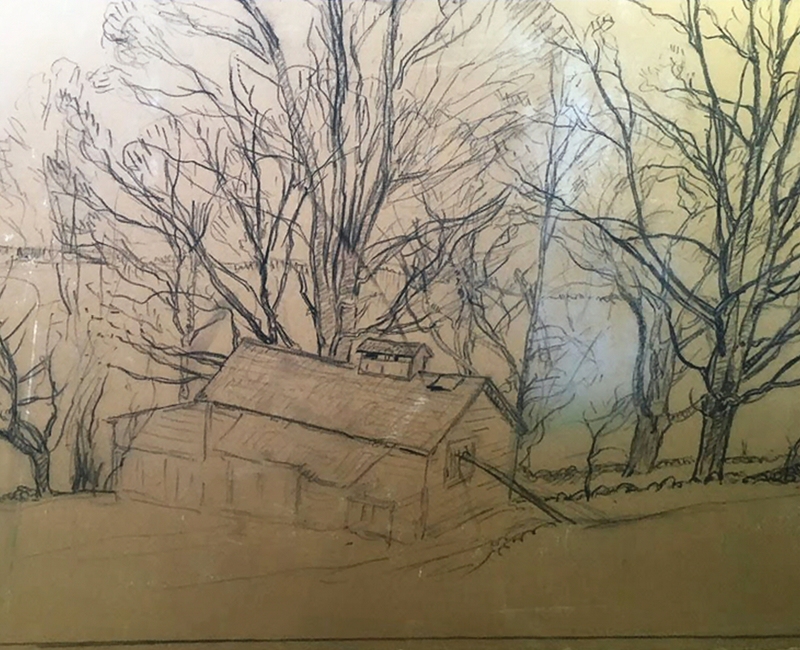 RSW- High Resolution Image for "Sketch Book - The Little Sugar House "
The following sketch is an incomplete chalk drawing by RSW found in a forgotten shipping crate stored in an attic. Woodward had sketched the outline and not yet added any significant chalk application, thus its presence in the sketch book gallery. If you would like to see the other unfinished paintings this piece was found with, go to the Unnamed Gallery.